EPW055805 ENGLAND (1937). 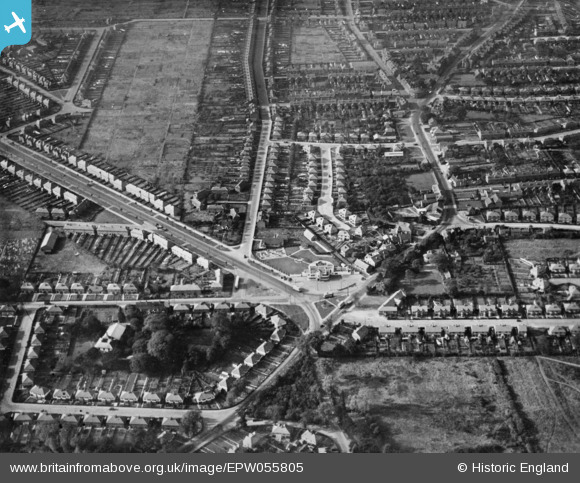 The junction by the Blue Peter Hotel and surrounding housing, Alvaston, 1937. This image has been produced from a copy-negative. Title [EPW055805] The junction by the Blue Peter Hotel and surrounding housing, Alvaston, 1937. This image has been produced from a copy-negative. The Blue Peter Hotel. The attached photo from Google Street View was dated November 2012.